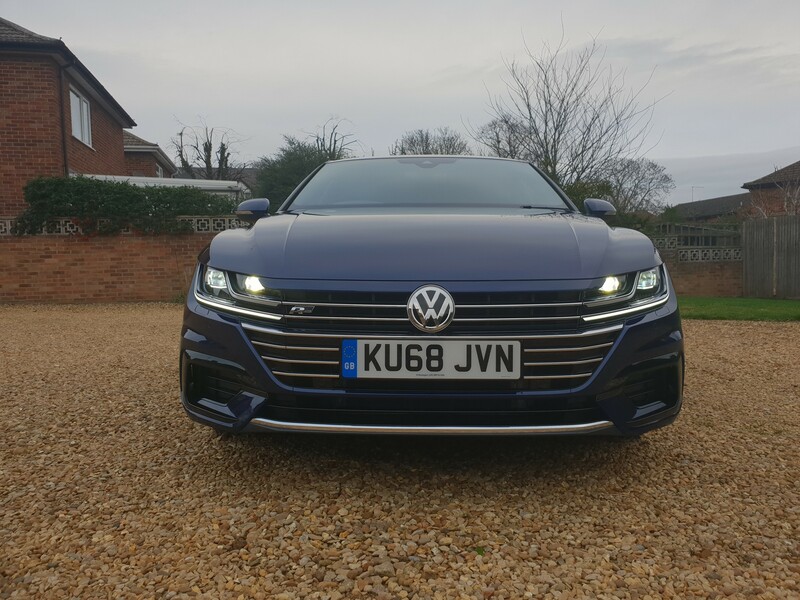 When I drove the Volkswagen Arteon at its European press launch more than a year ago, I thought it would be an excellent car to live with on a long-term basis. After three months and more than 4,000 miles behind the wheel of our test model, I’m pleased to say that I was right. It’s just such an easy car drive. From its ErgoComfort seats, which make long journeys a pleasure, to its standard-fit adaptive cruise control and lane keep assist – the whole package is just perfectly suited to modern day motoring. The R Line trim gives the Arteon a sportier edge, without ruining the ride comfort. It’s not as adept in the corners as a BMW 3 Series, but, given the car’s extra bulk, we’d say that was an unfair benchmark. 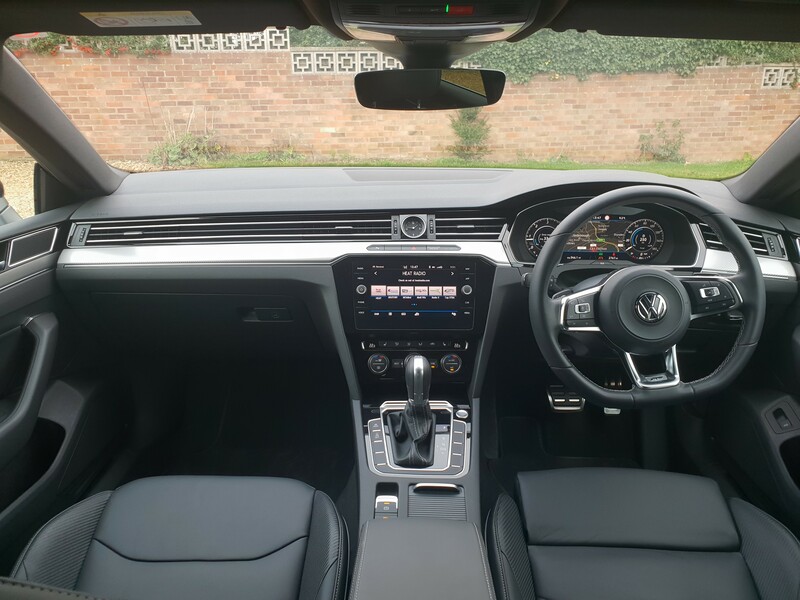 The infotainment system is the same one that is used across the VW range. It’s easy to use and provides good sound quality. It offers live traffic updates via an online connection and you can link to car to VW’s smartphone app, which logs each journey and can pinpoint the car’s location on a map. Since taking delivery of the car, it has averaged 48.9mpg. Many of my journeys are shorter than five miles, but longer trips are seeing in excess of 58mpg. I’m just about getting used to the attention that the Arteon’s striking looks attract as I go about my day-to-day business. It all started a couple of days after the car arrived when a friendly middle-aged couple approached me in a supermarket car park giving the ‘thumbs-up’ and asking what it was. I’ve lost count of the nods of approval from other motorists and admiring glances the car gets from passers-by. It really is like being in an ‘exclusive’ club, despite its mainstream pricing. The sleek coupe-like body oozes class, while its distinctive front end sets it apart from the rest of VW’s line up. In R-Line trim, our test car’s 19-inch wheels and deeper front bumper give a smarter look than cheaper Elegance models. At night, the car continues to stand out with its four LED headlights and sweeping running lights creating a unique signature. 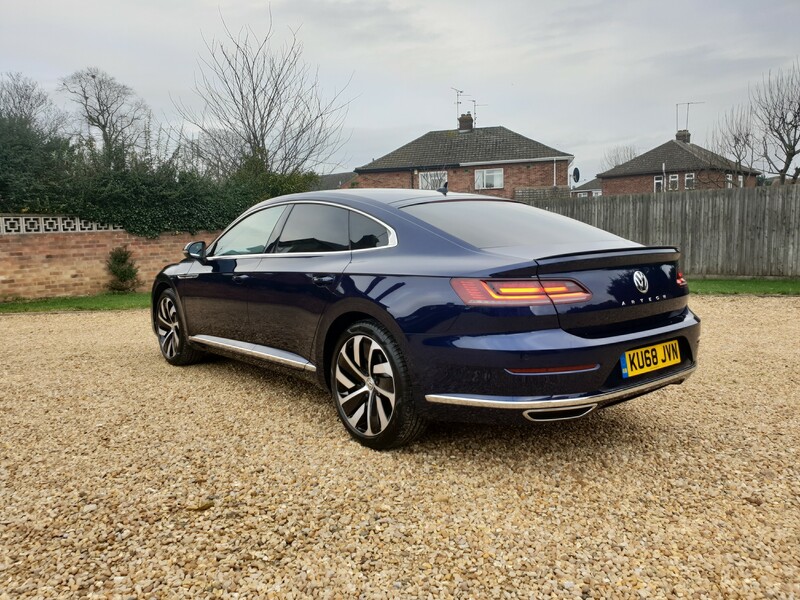 Having driven a large array of ‘premium-badge’ cars over the last few years, none has managed to attract anywhere near the amount of positive attention that the Arteon does. In fact, certain cars seem to have the opposite effect with other motorists exhibiting more hostile driving behaviour towards them. Prices start at a little over £31,000 and leasing costs are currently very favourable. Combined with the Arteon’s excellent practicality and efficiency, the package is hard to ignore. 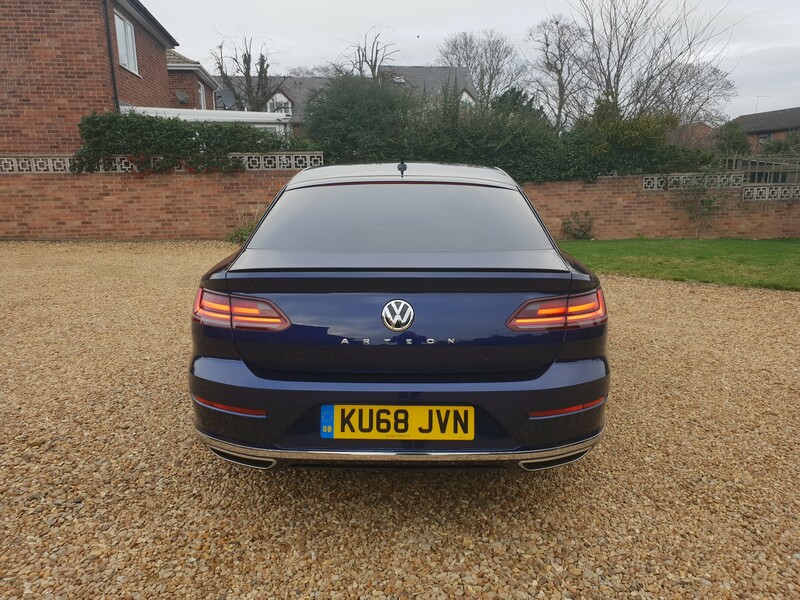 When Volkswagen launched the Passat CC 10 years ago it offered company car drivers the opportunity to get something a bit bigger and better equipped for less money than the equivalent BMW 3 Series or Audi A4. 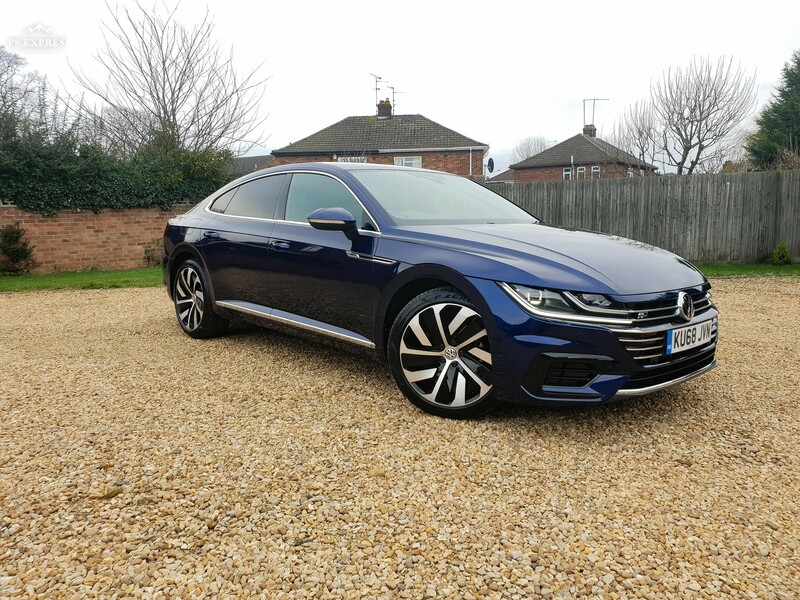 With the Arteon, VW have gone even further giving it more distinctive looks, even more space and now the added practicality of a hatchback. 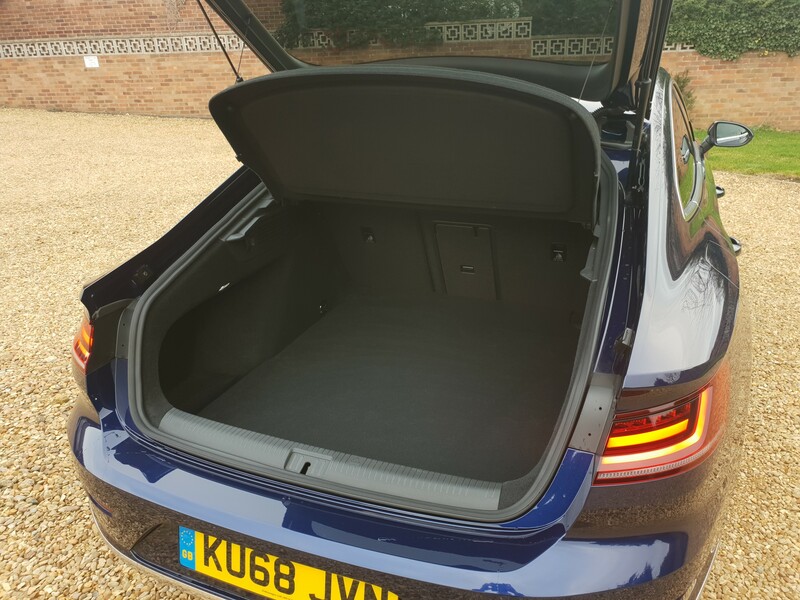 There is more boot space (560 litres) than in a car from the class above and rear legroom is also a match for much larger and more expensive cars. 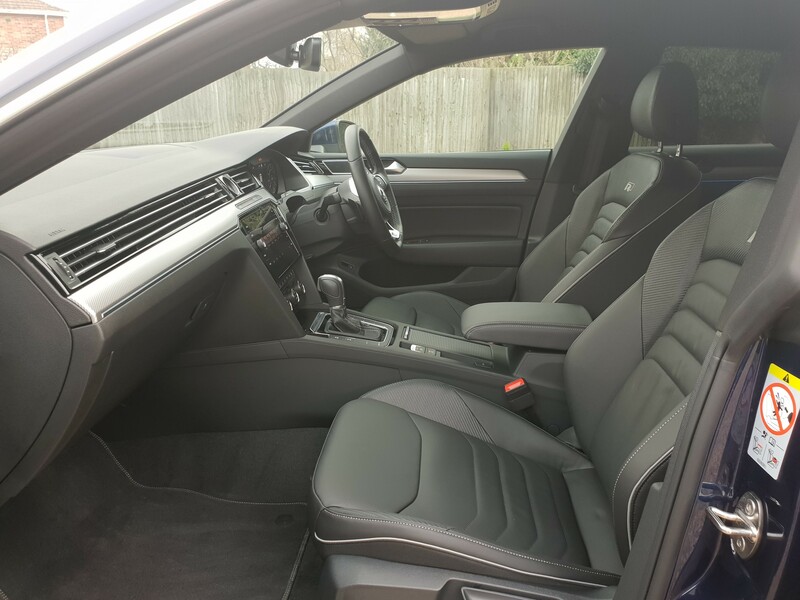 Standard specification is very generous and includes Adaptive Cruise Control, Lane Keep Assist and sat-nav. 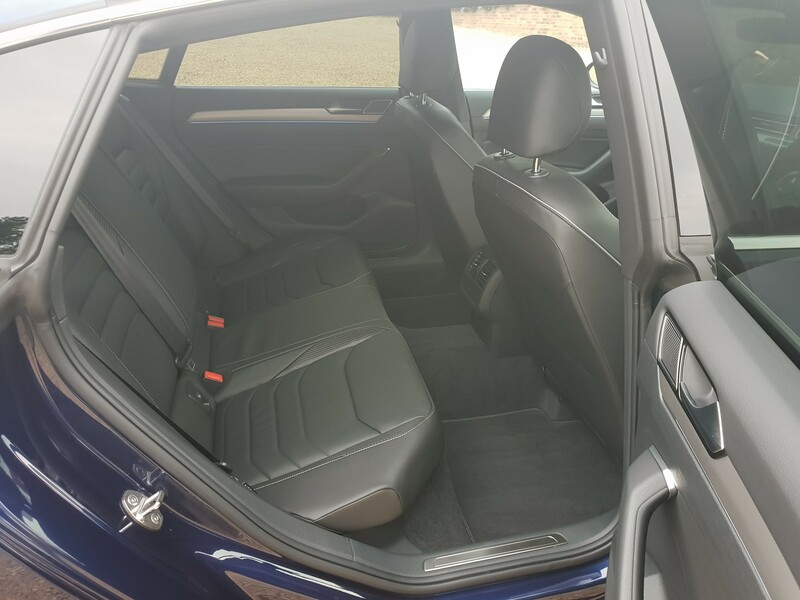 There is also heated front seats, LED headlights, leather upholstery and a digital instrument cluster. We opted for the more sporty R Line trim over the entry-level Elegance, which adds larger 19-inch alloy wheels, more aggressive styling and firmer suspension. The engine line-up includes a 150PS, 190PS and 272PS petrol engines and 150PS, 190PS and 240PS diesels. We chose the 190PS diesel engine for its balance of performance and promise of 61mpg. With 400Nm of torque it can accelerate from 0-62mph in eight seconds. A seven speed DSG gearbox comes as standard, giving CO2 emissions of 121g/km. There was no need to delve into to the options list as the car comes with everything we need, for a total of £37,635. A comparative BMW 320d M Sport would cost £41,685. 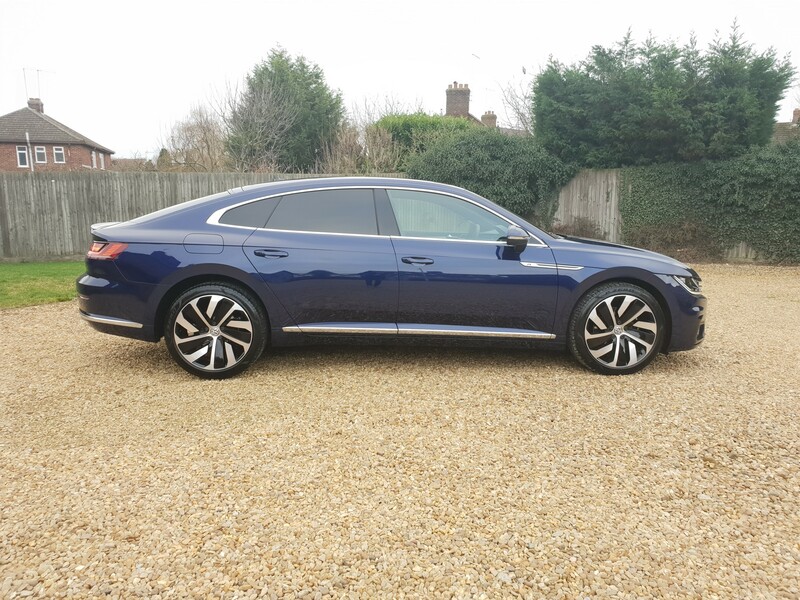 A company car driver would pay around £180 (20% taxpayer) per month in Benefit-in-kind tax for this model, with the cheapest Arteon coming in at around £150 per month (1.5 TSI Elegance). We’ve already racked up almost 3,000 miles in our car, achieving an average of 52mpg. Now it’s loosened up, exceeding 60mpg has been easily achievable on individual journeys and we look forward to the figure getting better as the weather warms up. Good fuel efficiency and low running costs make the petrol-powered Arteon 1.5 TSI a fleet contender. Drivers may find the engine lacks refinement, however.